This weekend the equipment trucks will roll up to my neighbor’s house and start setting up for his annual party. They’ll set up tables, chair, food service gear, a stage and band equipment, diversions for kids and who knows what else. 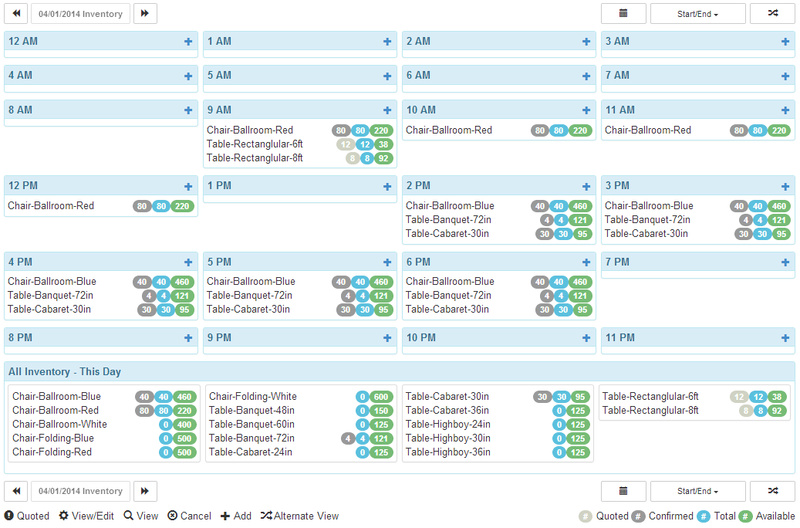 I don’t know how the rental companies keep track of all that stuff, but I bet they would welcome EquipCalendar, a web-based tool for scheduling and itemizing equipment rentals. EquipCalendar lets users enter job dates and locations along with the items to be reserved and delivered. It creates monthly, weekly or daily calendars and guards against double-booking the chocolate fountain or karaoke machine. The software runs on the web, on tablets or on a mobile phone, so dates and details are available at the office or in the field. A key feature lets users switch a calendar view between “Inventory" and “Tasks" to keep a project rolling smoothly. EquipCalendar is available for a free 14-day trial. A subscription costs $59 a year with no limits on the number of events or amount of inventory. More details are available at the EquipCalendar website and @equipcalendar on Twitter.